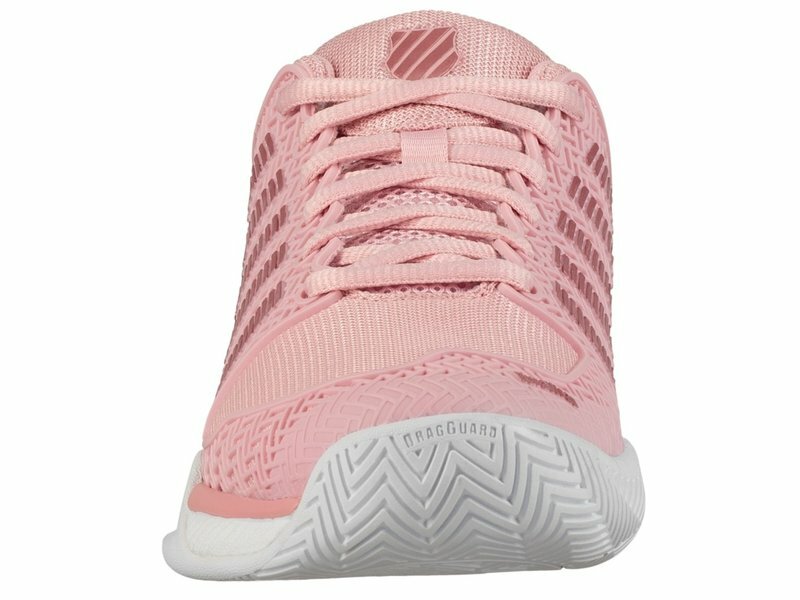 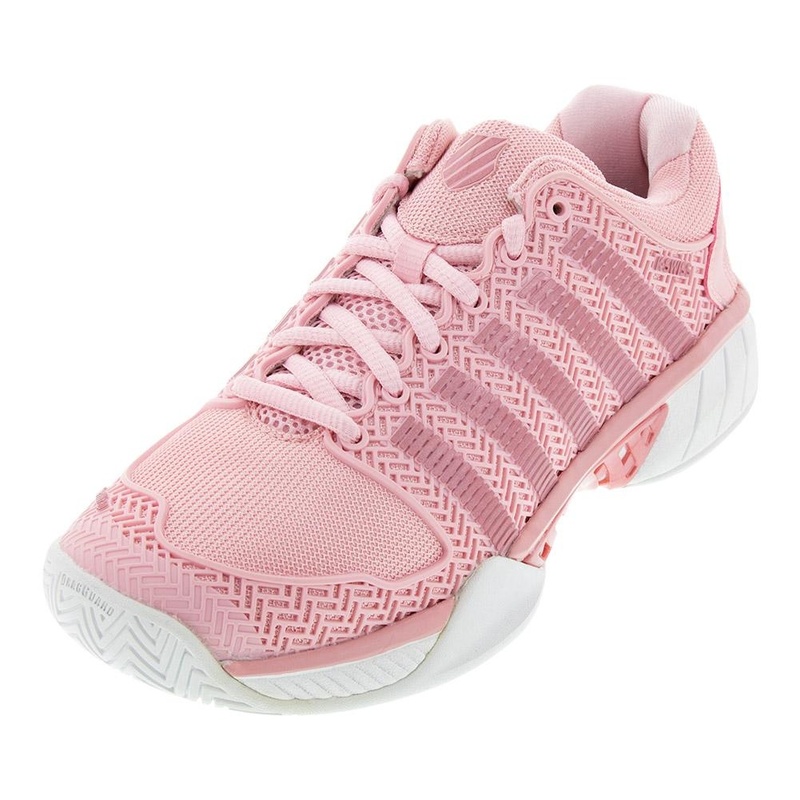 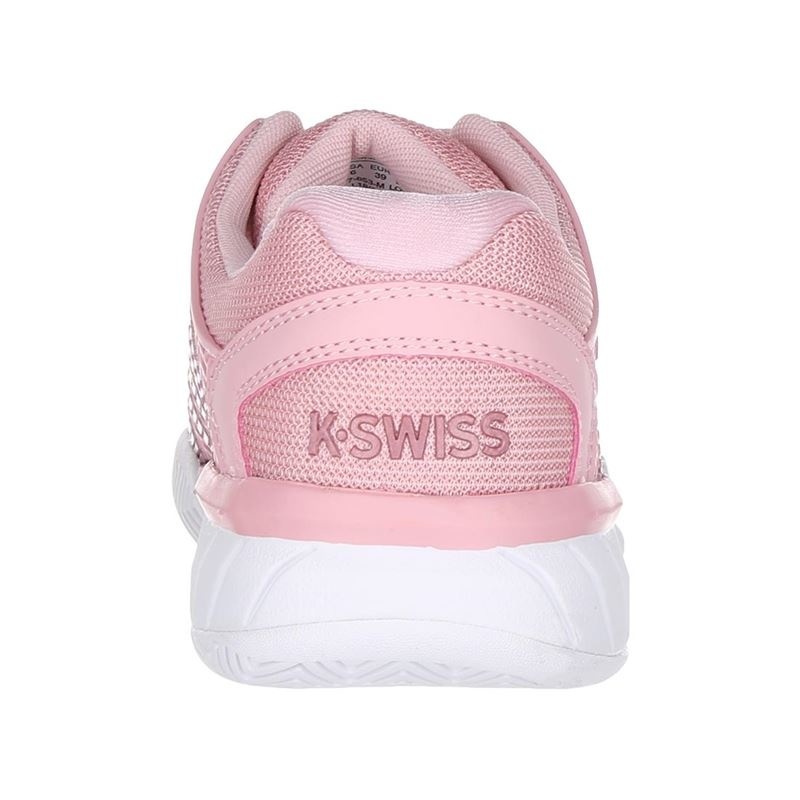 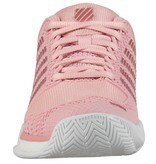 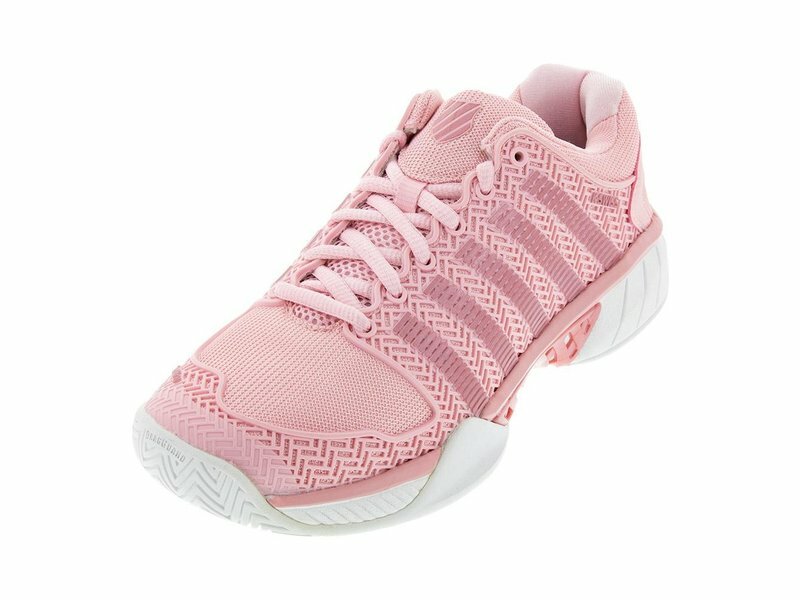 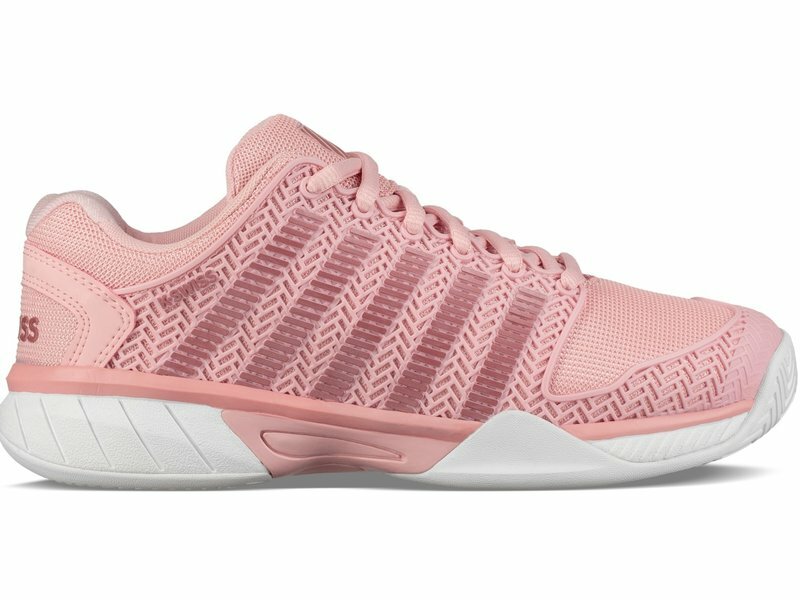 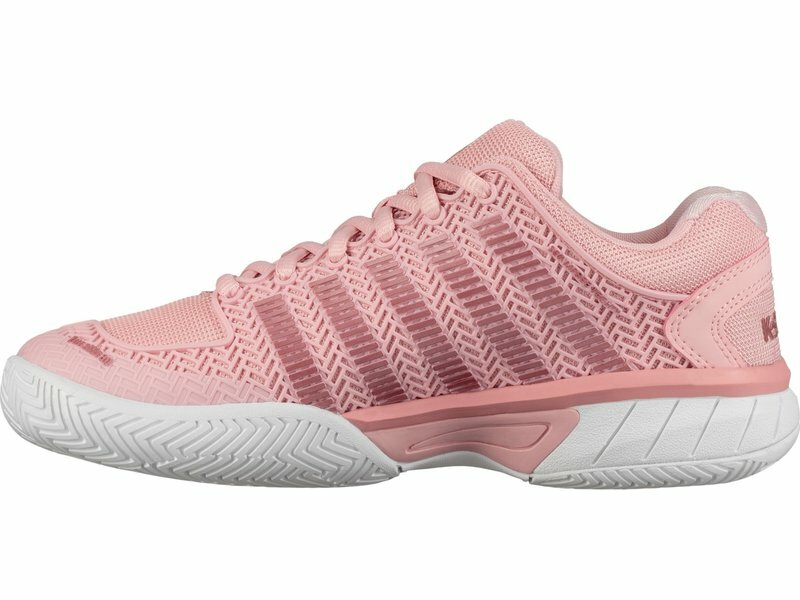 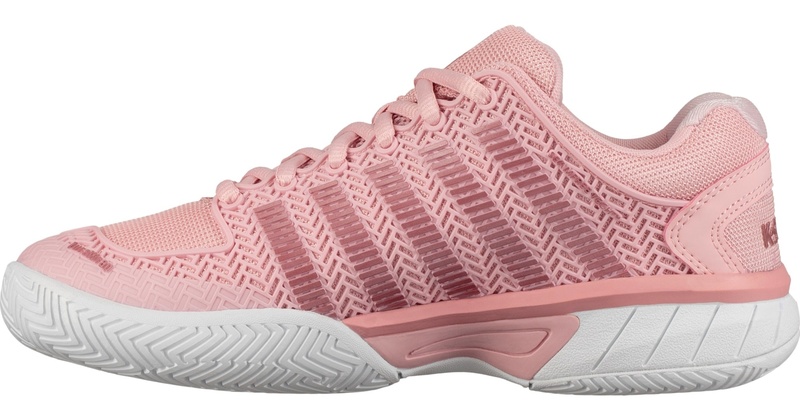 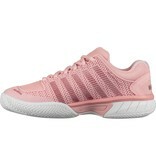 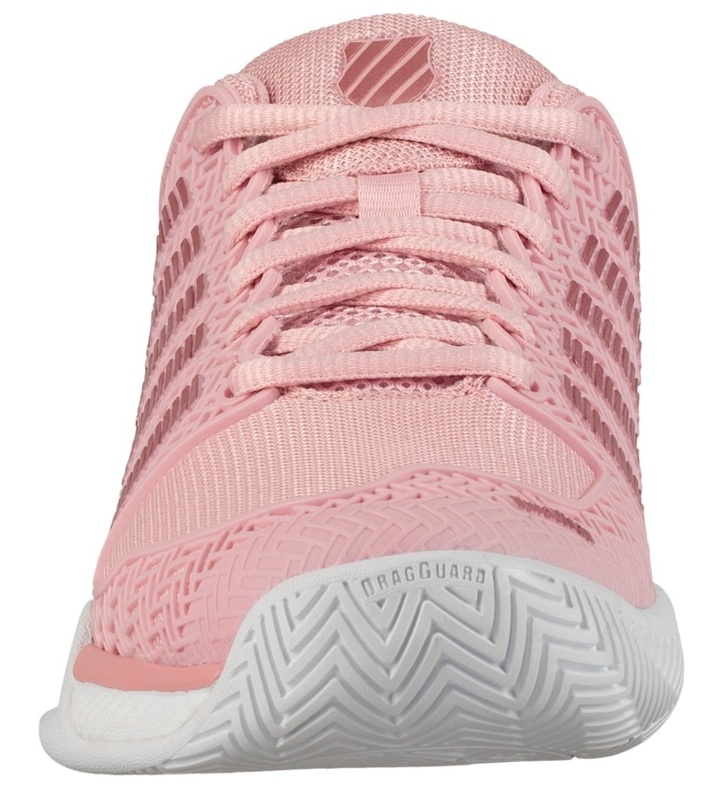 The K-Swiss women's Hypercourt Express tennis shoes in Coral Blush and white are engineered to be lightweight, breathable and durable. 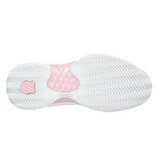 The breathable, synthetic mesh upper is fortified with Durawrap for added durability and support. 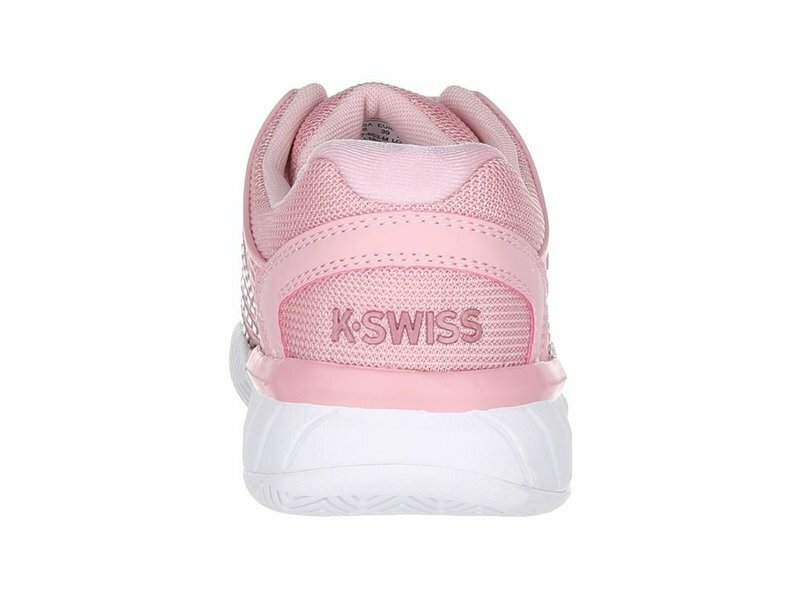 K-Swiss has added Seamfree construction to the shoe to prevent hotspots. 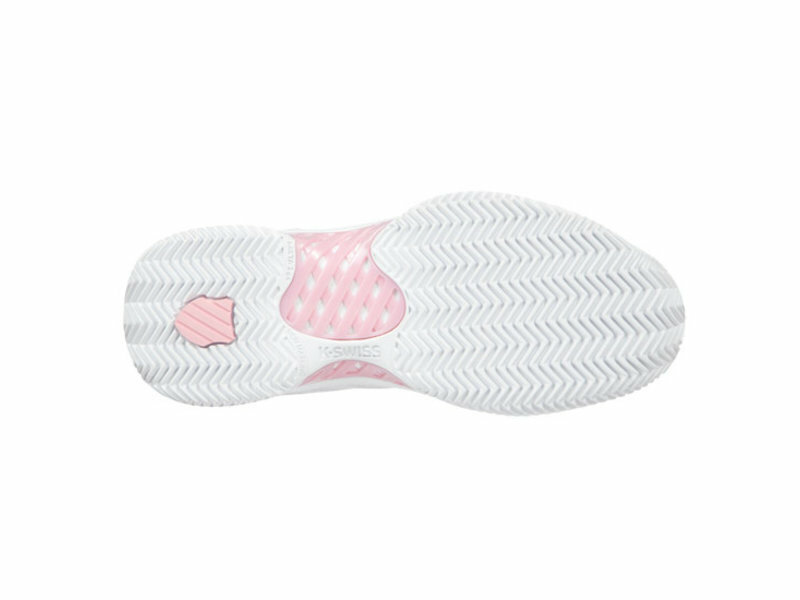 The Hypercourt Express also comes with an Ortholite insole for added comfort and support. 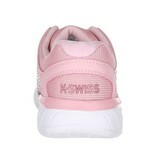 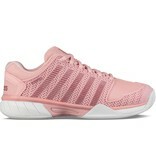 K-Swiss has also added K-EVA cushioning technology to the midsole which adds to the shoes comfort. 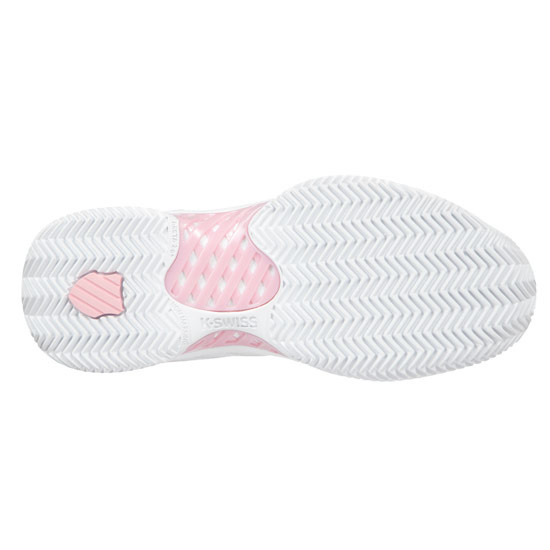 The Aösta 7.0 rubber compound guarantees a long lasting outsole.